Four commercial passenger airplanes line up to load passengers at Durango-La Plata County Airport. Four days a week, a combined eight flights either land or take off in an hours time, creating bottlenecks in the passenger holding area. 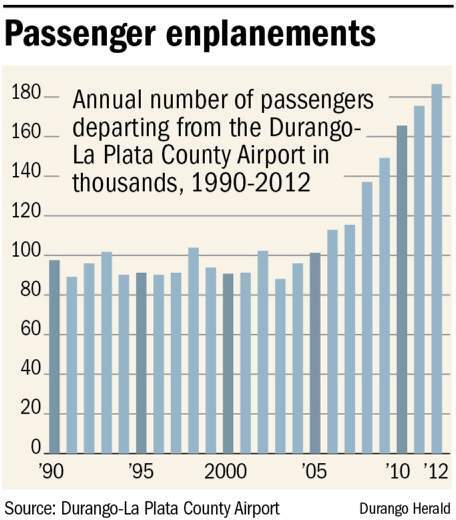 Increased ridership at the Durango-La Plata County Airport has created a standing-room-only situation in waiting area when several flight departures overlap. During a one-hour window at Durango-La Plata County Airport, four planes take off and another four land. People cram into the holding area, waiting for their boarding number to be called. Others still are in the security line, hoping they make their flight. While the holding areas capacity is set at 215, on four days a week, the combined flights capacity during the 2 to 3 p.m. rush hour is about 310 people. If an 11 a.m. flight is delayed, another 70 people could be waiting before the 3 p.m. passengers arrive. All 300 people dont occupy the holding area at the same time because of the security line bottleneck, airport spokesman Don Brockus said at the Durango-La Plata County Airport Commission meeting Thursday. The airport plans to fix the overcrowding by putting up a temporary 4,500-square-foot holding structure south of the existing holding area. The new structure will hold about 300 people and will become the main holding area while the airport is constructing its new terminal in 2014, Brockus said in an interview. The goal is to have the temporary structure open by May 15 when the airport is set to get a second X-ray machine, he said. The temporary structure will be constructed with a high-tense fabric that can be used in winter and summer and cost about $500,000. It will have the same amenities available as in the existing structure and will have two gates leading to the planes. The airport is on pace to exceed last years enplanement numbers with about 3,700 more enplanements in January and February this year than during the same time period in 2012. Derck said he doesnt expect to see additional hub service from Durango, but the existing airlines could bring in larger aircraft to meet the demand. Crew shortages caused a sharp increase in delays and cancellations on United Express flights between October and December, said Jodi Doney, Skywest/United Express station manager during a January presentation to the Airport Commission. Republic Airlines took on extra route responsibilities without having the crews to staff the flights. Doney said she didnt anticipate the flights improving until March. My perception is they have improved steadily since then, and I would say their completion and on-time percentages are about normal for the size of the airport, Brockus said. Between Jan. 15 and March 15, almost 63 percent of flights from Durango to Denver operated by Republic were rated poor or very poor based on on-time performance, according to the website flightstats.com. During that same time period, about 21 percent of flights operated by Skywest and about 24 percent of flights operated by ExpressJet were poor or very poor, according to the website. 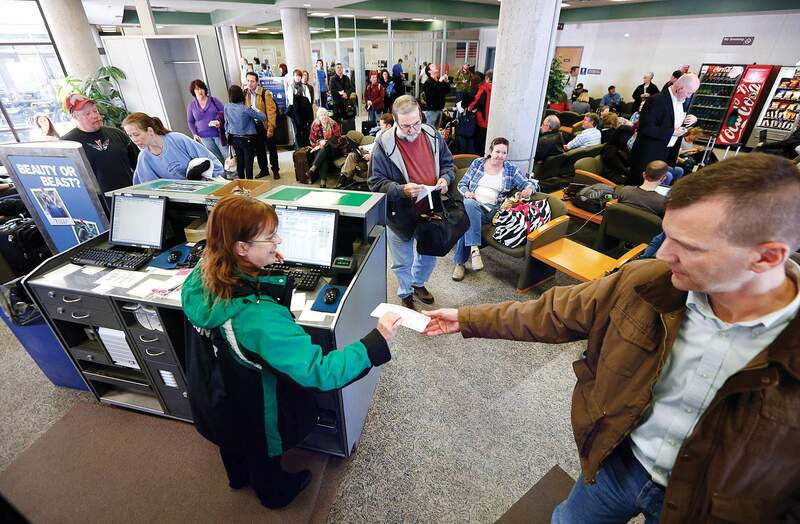 The most common cause of delays from the airport in both the summer and winter is weather, Brockus said. In the summer, flights can be delayed because of hot weather. Last summers record-breaking highs forced airlines to decrease passenger loads departing the airport because of low air density. Hot temperatures make the air thinner and raise the density altitude. When the density altitude is higher than the physical altitude, its harder for the plane to take off and some aircraft require a lighter weight load to operate safely. American Airlines had a few flight delays because of weather in Dallas, but the other carriers have been operating as usual, Brockus said. American recently announced that it and US Airways are merging, forming the nations largest airline. 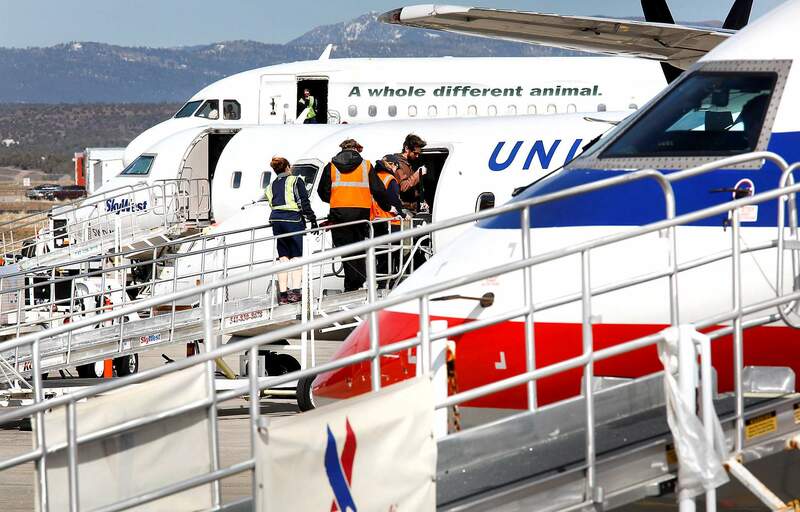 The merged airline will be called American, but both airlines expect the regional carriers they own to continue to operate as separate entities, said spokesman Matt Miller in an email to The Durango Herald. The airlines told the airport they would maintain the Dallas and Phoenix hubs and do not immediately anticipate any radical changes to their service pattern, Brockus said. Because of a winter storm watch in effect in Denver this weekend, Frontier is allowing customers who are expected to fly to or from Denver on March 23 and purchased tickets before March to make one itinerary change, according to the airlines website.